Timeshare Hawaii terms for your timeshare resales knowledge. Knowledge is timeshare buyer and seller power. The following glossary of timeshare Hawaii terms will help you to understand the variety of terms used in timeshare resale transactions. Any questions? Please ask us. Weeks that you “banked” from the prior year which are available for use in the current calendar year. Amenities: Features that add to the value of the property such as swimming pools, tennis courts, golf courses, spas, boating, fitness room, laundry facilities, etc. Usually the more amenities a resort offers the greater the increase in value and desirability of the property. The main trade association in the United States for the developer timeshare industry. Provides lobbying and other services in support of the industry. Depositing a period of timeshare usage into an exchange company’s “bank”. If you do not use a week in a particular year, you are generally allowed to “bank it” and use it at a later time, usually 2 years from the date of banking the week. Owners are able to use ‘Odd’ or ‘Even’ year weeks depending upon which is purchased. The depositing, usually by the resort management or developer, of a large number of weeks into the exchange company “bank” at the earliest time possible. Use of your resort in addition to your regular allocated time on a space available basis. These bonus weeks are issued directly from the resort, often issued as a signing bonus upon the purchase of a timeshare interval. Another type of bonus week is one issued by an exchange company. Owners of high-demand resort weeks receive these weeks as incentives to deposit their timeshare week. The assigned date and day of week the interval week begins; at most timeshare resorts usually Friday, Saturday, or Sunday. The check-in day begins the seven-day interval week. For example, if the interval week begins on Friday, the week ends on the following Friday. The interval owner (or renter) need not always check in on the specific check-in day; however, late check-in does not extend the interval week beyond the scheduled checkout day. The assigned hour an interval week begins; usually 3:00 PM, 4:00 PM, or occasionally 5:00 PM. The interval owner need not check in at the precise time; however, late check in does not extend the interval week beyond the assigned check out time.Check-out time is normally 10:00 AM or 11:00 AM on the seventh day following check-in. Example: check-in on Saturday at 4:00 PM and check-out on the following Saturday at 10:00 AM. Those costs associated with the closing process, usually including: deed preparation/attorney fee, title search, title policy, recording costs, escrow fee, and administrative fees. A legal document providing title to your timeshare property; gives you your ownership rights. Deeds may be fee simple or leasehold interest in Hawaii. Property ownership with deed recorded in the county or the State in Hawaii where the property exists. This type of property has the same rights of ownership accorded to it as other deeded real estate. The owner may sell, rent, bequeath, or give away the property. The developer’s current or market price for a timeshare interval. Full retail price. Includes the developer’s expenses for developing the property, loan fees, sales commissions, manager’s overrides and marketing costs, which can be 50% to 70% of a developer’s sales price. A third party secured account used to hold funds from the buyer and the seller related to closing of purchase and/or sale of a property. Title and escrow companies must be bonded and licensed in Hawaii. The process of trading an interval week (or points) at one resort for an interval week at another resort or trading a specific week at the home resort for another week at the same resort. The exchange system allows an interval owner to trade their week with other interval owners allowing each owner to travel and vacation throughout the Mainland and the World. Some resorts have internal exchanges with other resorts which are usually owned by the same company, or exchange affiliations with resorts from other companies. A company or organization that accepts timeshare weeks on deposit from its interval owners/members to establish a pool of weeks from which other members may select the resort and vacation times of their choice. When a member deposits their week with an exchange company, the company compares the week the depositor is asking for with weeks deposited by other members and provides a suitable match based on availability and value. Factors affecting the exchange value are: the resorts’ rating, the time division, prime time versus low time, the size of the unit desired, supply and demand being the main factor. Usually, a reduced cost package/trial program offered to a customer who is on the point of walking away from a sales presentation. This serves two purposes: it rescues something for the salesman and entices you to use the resort’s facilities in the hope that they will have another chance to sell you developer’s weeks. Make certain to read all fine print on exit program entitlements as some will be difficult to reserve and use. A gift of some sort offered to prospective buyers to entice them to attend a timeshare presentation. The preferred type of real estate ownership. This type of interval ownership is in perpetuity and is the opposite of Right-to-Use or leasehold ownership. The owner holds a deed in his/her name and the ownership of the property can be bequeathed to heirs. A leasehold ownership is recorded in the State of Hawaii and may be passed to heirs, but will have a predetermined expiration date. A time period that is fixed for each calendar year, either by date or by calendar weeks, 1-52. With a week number, your actual start date may vary slightly from year to year. Unlike a floating unit, a timeshare owner who owns a fixed unit at a resort will always vacation in the same physical unit each year he/she vacations at that resort. This type of ownership is particularly important if you alway wish to be guaranteed an oceanfront unit. A fixed unit property assures the owner that he/she will always have the exact location and the exact unit they have purchased. Referring to the interval calendar, the purchase of a fixed week property assures the owners that they will always have the same week each year; i.e., week 51, 52 or week 17, etc. An owner of a floating week will generally be able to choose a week within their season allocation. Your time period is defined by a season and the week period is not fixed. Most resorts have a High, Medium, and Low Season, although timeshares in Hawaii are deemed high season year around. The purchaser of a floating week has the flexibility of scheduling their vacation interval with yearly variations in accordance with the resort’s guidelines. Typically, resorts will accept requests for specific weeks by the interval owner as long as maintenance fees are current. The earlier an owner calls for reservations, the better the chance that the owner can pick a specific week of the year. Owners of a floating unit at a resort might not vacation in the same physical unit each year. Interval owners may request a specific unit and if it’s available for that particular week the resort normally will honor the request, ususally given up to one year in advance to make reservations. Multiple week ownership at the same resort– 2 or more weeks of timeshare ownership for use in one calendar year. 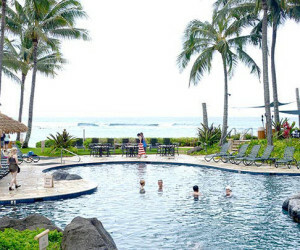 Fractional ownership will sometime imply a more upscale, luxurious property that normal timeshare resorts provide and do not fit under the timeshare classification in Hawaii. A certificate issued by the resort’s affiliated exchange company authorizing a nominated guest to use an exchange instead of the owners. When a resort is sold out or approaching sell out of its ownership is generally turned over to an HOA consisting of the timeshare owners of the resort with an elected board to administer the rules and regulations. A sold out resort will usually employ an outside management company to operate the resort, collect maintenance fees. Some timeshare projects are self managed and sometimes the developer maintains management rights. A “club” which provides a number of weeks holiday, usually in timeshare apartments. These Clubs are usually not covered by the laws regulating the sale of timeshare and are often not able to fulfill their promises. Not to be confused with the generic term used by many vacation ownership companies as part of their name, such as Marriott Vacation Club, Hyatt Vacation Club and others. The second largest timeshare exchange company in the world. Exchange companies will have annual membership dues and exchange fees to trade to other timeshare properties. An assigned period of time. Based on the interval calendar wherein the fifty-two weeks of the year are numbered sequentially: Week 01 through Week 52. A specific interval week is a seven-day period encompassing one of those fifty-two weeks. An inventory control number/ICN will usually be assigned to every timeshare ownership, which is for purposes of recordation and ownership and not a fixed time of year with floating week/interval rights and use. An annual calendar depicting the fifty-two or fifty-three weeks of each calendar year, showing starting days of Friday to Friday, Saturday to Saturday, and Sunday to Sunday, check in dates. Some states and some foreign countries do not allow deeded ownership of timeshares. Alternatively, a lease ownership or in some countries such as Mexico a Right-To-Use (RTU) ownership grants the owner the right to use the property for a specified period of time, usually from 20 to 99 years or the expiration of the lease/right to use. Ownership of the physical property is held by the resort developer or land owner. Many properties in Hawaii, for instance, are leasehold properties with a predetermined expiration date. Typically, a unit which has the capability of being divided to create two separate but complete sections. If an owner buys a lock/off unit, the unit may be divided and the option to either stay in one half of the unit and rent the other half or rent both halves to different parties or use half and exchange the other half in essence giving two weeks every year use. Maintenance fees are established and collected by the Home Owners Association or Resort Management Company to maintain the property, employee wages and benefits, pay insurance, utilities, refurbishing and taxes. These fees vary from resort to resort and with the type and size of the unit purchased. The cost of resort operation is spread among owners. This fee must also build up reserves to pay for non-recurring costs like furniture, appliances, etc. that may require periodic replacement and other capital costs as normal physical deterioration occurs. The company contracted, usually by the Owners Club/HOA, to carry out all the day-to-day management of the resort. Sometimes owned or controlled by the developer. Management companies will have a contract, which may be viewed by the board of directors and put out to bid upon expiration of the current management contract. A company, separate from the developer, responsible for marketing to perspective timeshare purchasers. A developer might manage the on-site marketing and employ a separate Marketing Company to manage off-site marketing or the developer will manage both on and offsite marketing. The maximum number of persons a timeshare unit will accommodate; usually from 2 to 10 persons. Maximum occupancy is typically expressed in conjunction with “private occupancy” referring to the number of persons the unit will sleep privately and the number of bedrooms within the unit. Configurations of units vary from resort to resort. Generally a studio will accommodate up to 2 people, a 1 bedroom will accommodate up to 4 people, a 2 bedroom will accommodate up to 6 people and a 3 bedroom will accommodate up to 8 people. A marketing term used to describe people who approach potential buyers on the street, at airports, through activity booths or the resort concierge and offer an incentive, such as a gift, cash, restaurant voucher or tickets to a local attraction to visit a timeshare project. In Hawaii, the OPC is not allowed to sell or make representations about the timeshare project, only offer incentives to do a ‘90 minute’ sales presentation. The Project Director who is in charge of running the developer’s sales at a timeshare resort. The actual duties will vary depending on the hierarchy at specific resorts or companies. A general manager will be the individual running the day to day operations of the timeshare project and all employees not involved with the developer’s sales staff. Timeshare Programs which allow the owners choice and control over when and where they vacation or for how long or short they stay. Points will usually be owned within a geographic region for use within that point club program, but may exchange through RCI or Interval International for timeshare properties outside of the point program. A timeshare system where ‘owners’ hold points which entitle them to use a period (varying from a few days to a few weeks) every year from a choice of resorts. Sometimes points are backed by an actual deed, sometimes they are not. A period of time granted by state statutes during which a person has the right to cancel a purchase contract for a timeshare without incurring a penalty. The person also receives a complete and full refund of his deposit. Rescission periods vary from state to state. The State of Hawaii has a 7 day right of rescission of any timeshare sales presentation. A system of comparison of resort quality, amenities, and location. The two foremost rating systems are Resort Condominiums International (RCI) and Interval International (II). RCI and II rate their affiliated resorts based upon predetermined criteria of exacting standards of quality and services provided by the resort as well as the availability of amenities at or near the resort. The ‘high’ demand time of year determined by the exchange networks or timeshare project based on supply and demand. The largest exchange organization in the world owned by Wyndham Worldwide founded in 1974 . Occupancy rights for a specified number of years, with no ownership interest in the property. Some states and some foreign countries do not allow deeded ownership of timeshares. Alternatively, a lease ownership or Right-To-Use ownership grants the lessor the right to use the property for a specified period of time; usually from 20 to 99 years. The resort developer or land owner holds ownership of the physical property. However, during the right-to-use period, the owner may usually have the rights to rent, transfer, or bequeath the remaining years of their right-to-use property. Exchange Company division of the weeks in a year into popular (Red), shoulder (White for RCI or Yellow for II) and off peak (Blue for RCI or Green for II) for the calculation of trading power in exchanges. Each resort may have different seasons depending on the geographic position, etc. Depositing a week of owned timeshare with an exchange company to trade to another exchange affiliated timeshare property. A fee over and above the annual maintenance fee assessed by the resort pro rata to interval owners. This fee, when assessed, is intended to defray expenses related to major repairs and refurbishing of resort equipment, facilities, and units. It often follows some natural disaster such as an earthquake or hurricane when unexpected damage occurs at a resort and not insured. The assessed value of an interval week when trading or exchanging for another week within the same resort or at a different resort. In some situations, the owner of a red week at an RCI Gold Crown resort can trade that week for two or more weeks at a resort of lessor distinction or for weeks in a lower time division, especially within a point based system. Supply and demand rules prevail in this type of exchange and the owners can greatly enhance their trading power with high demand weeks and resorts. Normally expressed as hotel unit, studio unit, one bedroom, two bedroom and three bedroom. Hotel units, studio units, and efficiency units typically are a single room with sleeping accommodations and perhaps a small built in kitchen and sleep from two to four persons. One, two or three or more bedroom units accommodating 6, 8 and more people are usually condominium style accommodations and feature a full kitchen and other living areas. Almost all Calendars contain only 52 weeks of use in a year – but roughly every seven years there is an extra week, week 53 which is generally reserved for the use of the Developer/Founder Member. Our glossary of timeshare Hawaii terms certainly doesn’t cover everything. If you have a question about timeshare resales and Hawaii timeshares, please don’t hesitate to call Steven Ramey, licensed Principal Broker based in Kapaa, Kauai or email us at All Islands Timeshare Resales. We’d love to help.